Sharing the pastime of hunting is more than just a day trip, it’s an experience that can be carried throughout life. With today’s trends and technology, the experience itself can often times get lost. For Mike and Micheas Vannes, the desire for adventure and the passion of hunting brings them closer. 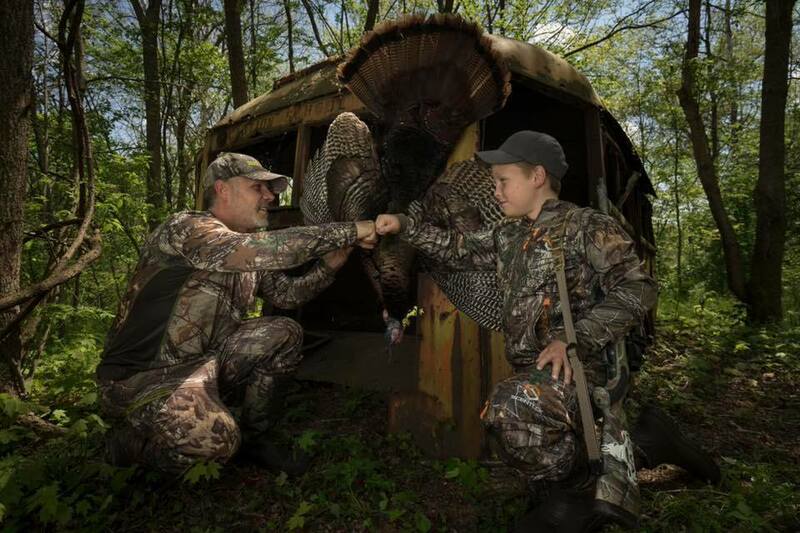 Folks talk all the time about the camaraderie associated with hunting, but nothing can compare to the father and son bond that allows a tradition to live on. At the age of 5, Micheas would accompany his father Mike on the early morning and late evening trips into the woods. Wanting to be just like his Dad, the passion transpired into an Obsession. At the age of 6, Micheas harvested his first animal. That moment shared together is one that Mike and Micheas will always cherish. Mike said, “the look on Micheas’ face was priceless and he instantly knew then that it was important to pass on this time-honored tradition to his son so that one day he could do the exact same”. Since then, Mike and Micheas have run with that obsession as they took on a new challenge, bowhunting. When Obsession Bows released the #Hashtag in 2017, Micheas and his Dad knew it would be a perfect fit for a young hunter for its ability to adjust as he develops. Like anything in life, practice makes perfect. So Micheas put in the hours to perfect his form and ensure he was consistent shot after shot for when he needed it most. 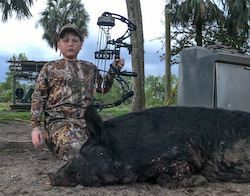 This past week, Micheas Vannes, accompanied by his father, Mike, made a trip to Tampa, Florida in pursuit of a free-range hog. Micheas, at the age of 12, harvested his first animal with a bow, an achievement well beyond his years. Being a Junior Pro-Staff for Open Season TV, hosted by Chuck Paddock and James Blankenbeckler, Micheas has been able to share his adventures and successes with many. However, nothing will ever compare to the moments Mike and Micheas have shared from an Obsession passed down. Congratulations Micheas on your successful harvest and we appreciate all the support from the Vannes family!